In February 2011 the world sugar price reached a 30-year high. To supermarket shoppers, sustainability in the sugar industry may just mean affordability and the ability of manufacturers to keep bags of sugar on the shelves. Yet in reality the proportion of sugar the industry sells to individual consumers is only 20 per cent of production – the rest goes to industrial food and drink manufacturers – and sustainability issues go far deeper than maintaining the supply chain. Dr Ben Richardson, from the Department of Politics and International Studies at the University of Warwick, has researched the subject and its controversies extensively. Mass sugar cane production involves fertilizers, chemicals and pesticide use on fields. The industry is quite water intensive, can be a drain on underground aquifers and leach water from surrounding communities and other agriculture. Once water has gone through the sugar cane fields it can find its way into nearby rivers causing pollution, with the blooming of algae causing the depletion of fish stocks due to lack of oxygen. Poorly-managed refinery factories may also dump their waste in rivers. The knock on effect is a lack of fresh drinking water for the local people, a decline in the fishing industry and in worse cases human malnutrition when a staple fish diet is no longer available. In our era of climate change environmentalists want to see water use in the sugar cane industry reduced. This comes at a time when there’s a burgeoning demand for sugar cane use in biofuels, the so called ‘green’ fuels that emit less carbon than fossil fuels. That means, explains Dr Richardson, that some people are calling for sustainable intensification practices to be introduced in the sector, such as genetically modifying crops to grow more densely with less water, fuel and land. Critics believe that sustainable intensification is an oxymoron and doesn’t address the underlying problem of whether it is right to exploit nature in such a way rather than address our unsustainable lifestyles. Also there’s a PR issue: consumers may not care if the biofuel in their car comes from GM crops, but will they want to bake a cake with GM sugar? Approximately 30 million hectares worldwide are farmed with sugarcane today; this is expected to reach 50 million hectares by 2020. In Cambodia stories have emerged about land grabbing from local communities and peasants being forced off land that’s bought without their agreement. Some are promised jobs that do not materialise to leave their land. There is also a concern that sugar may be grown in a way that leads to exploitation of labour. In the Dominican Republic there have been issues in the industry with migrant labour from Haiti. It’s something the industry is trying to address through new housing and social welfare projects but the legacies are hard to eradicate. Most immigrants have been unable to get Dominican Republic citizenship and therefore there are issues around access to state services and the threat of expulsion. The Dominican-born children of these immigrants have been dubbed ‘sugar babies’ as they don’t have any nationality. Brazil is the world’s biggest exporter of sugar, with large-scale, highly-mechanised plantations covering miles of land. A lot has been done there to eliminate forced labour, although modernisation has also led to many redundancies. This is set to continue, with up to 70,000 people, mainly poorer field workers, losing their jobs over the next decade. In Zambia the industry is generally well run, points out Dr Richardson, but it exists in an economic enclave. There are limited opportunities for small farmers to sell sugar cane to the mill and many jobs for the mill remain seasonal and low paid. Powerful companies have negotiated tax reductions from the government and it has been alleged that many contracts for suppliers go to South African and not Zambian firms, creating ill-feeling within local communities. This business model has deficiencies when it comes to stimulating rural development and reducing poverty. Global consumption of (food) sugar has increased 2.6 per cent a year over the last decade. Whilst demand in the UK is on the decline, due to less use of table sugar, preserves and sweet spreads, overseas demand is rising as countries change their diets to more western-style high salt and sugar consumption. China is the market that food and drink companies who use sugar in their recipes want to crack. Some sugar companies have expanded as a means to strengthen their market position, while others have come under investor pressure to divest their sugar division and concentrate on food ingredients and bio-based operations. Biofuels absorbed around 20 per cent of sugarcane in 2007-2009, nine per cent of oilseeds and coarse grains and four per cent of sugarbeet. In 2009/10 3.33 per cent of the fuel used in UK road vehicles was biofuel. The UK is aiming to reach five per cent of fuel from renewable sources by 2013. Is this increase achievable and sustainable? “As a society”, Dr Richardson answers, “we have invested so much in the petroleum infrastructure and petroleum-based engine that we’re stuck with it for the foreseeable future”. With prices for both petroleum and sugar high, however, can enough bio-fuel be made to replace petrol to enough of an extent and will consumers be able to afford it? A 2011 report by the Nuffield Council on Bioethics, which Dr Richardson contributed to, highlights many of the sustainability issues associated with biofuels such as protecting the environment, reducing greenhouse gas emissions and avoiding human rights violations in developing countries. “For me I think the most important thing is to address consumption, especially in rich societies, to help sustain farming and agriculture. It’s important to ensure providers receive a fair price not just for the sake of sustainability but in terms of equity, fairness and justice” says Dr Richardson. In 2013 the EU is going to review the sugar regime. It is thought by some that the union will move away from price supports to decoupled payments where subsidies to farmers are based on land and not production. The idea is that this will make farmers more responsive to market signals and price fluctuations and avoid subsidised over-production commodity mountains of the like the EU had with butter in the 1990s. Farmers, however, are concerned about the uncertainty this would bring to their business and that they would lose their collective bargaining power. Sugar growers in the UK currently have collective bargaining power with companies such as British Sugar. The fear is the future may be sweet for the sugar industry but sour for the farmers, environment and workers. You can hear Dr Richardson explain more about his research in this recorded interview. Dr Ben Richardson is an Assistant Professor in International Political Economy (IPE) in PAIS. His research interests relate to the international political economy of development. His work is concerned with the production and exchange of commodities and the North-South politics in which this is embedded. 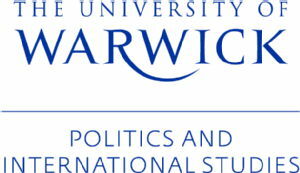 This post originally appeared on the University of Warwick’s Knowledge Centre blog. For pictures accompanying this post, visit the Knowledge Centre.